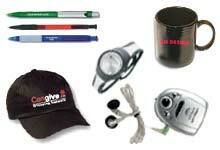 Please contact us for a free promotional product quote. We look forward to working with you on your next promotional event! We offer hundreds of thousands of products including: Custom t-shirts, sweatshirts, hoodies, sweat pants, wicking shirts, compressed t-shirts, hats, caps, toques, scarves, gloves, bandanas, ponchos, aprons, scrubs, work clothes, work wear, fleece, bathrobes, pants, polar fleece, rainwear, tank tops, apparel, team jerseys, team uniforms, hockey jerseys, football jerseys, baseball jerseys, soccer jerseys, volleyball jerseys, basketball jerseys, lacrosse jerseys, running shirts & shorts, imprinted apparel, embroidery, screen printing, silk screening, twill crests, charity event t-shirts, golf shirts, golf hats, golf gifts, golf prizes, golf awards, golf balls, golf clubs, golf bags, golf shoe bags, golf towels, golf tees, golf umbrellas, golf tools, knives, awards, trophies, medals, corporate gifts, corporate apparel, corporate awards & crystal, promotional products, unique gifts, bags, luggage, back packs, briefcases, CD cases, computer bags, duffel bags, garment bags, sport bags, travel kits, tote bags, waist bags, waist packs, backpacks, wallets, bookmarks, calculators, conference items, lanyards, id cards, card holders, id holders, folders, envelopes, cases, portfolios, padfolios, planners, notebooks, notepads, paper cubes, clocks, computer accessories, usb flash memory sticks,frames, digital frames, computer mouse, mouse pads, letter openers, memo clips, paper weights, clipboards, pens, pencils, reading lights, auto accessories, bbq items, binoculars, blankets, chairs, dog tags, electronics, televisions, tv, radios, cameras, camcorders, 2 way radios, gps navigation systems, eye glasses, flashlights, games, puzzles, sport bottles, water bottles, time pieces, watches, jewelry, rings, wristbands, stress balls, thermos, coolers, lunch bags, umbrellas, business cards, business card holders, magnets, sticky notes, signs, brochures, buttons, cell phone items, coasters, carabineers, food items, candy, cookies, mints, nuts, chocolates, chocolate bars, popcorn, gift baskets, coffee, tea, health & beauty items, lip balm, hand sanitizer, antibacterial spray, first aid kits, key chains, kitchen items, lapel pins, coffee mugs, ceramic mugs, travel mugs, drinking glasses, shot glasses, beer mugs, beer steins, pilsners, napkins, ornaments, push pins, tattoos, wedding favors, balloons, zipper pulls, noise makers, bumper stickers, stickers, decals, labels, eco friendly products, recycled items, advertising specialty items, flags, flying discs, footballs, basketballs, soccer balls, whistles, yoyos, gift with purchase items, condoms, compressed t-shirts, imprinted apparel, T-shirts, trade show give away items, made in the USA items, made in Canada items and much much more! 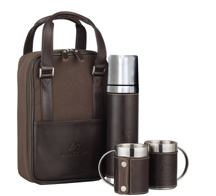 �We place your logo and/or slogan on promotional products such as T-shirts, sweatshirts, baseball hats, coffee mugs, bags, pens, watches, USB memory sticks and more! To find the ideal item for your business promotion, special event, charitable fundraising or wedding, please Click here. �We can meet all your custom team jersey requirements for: Hockey, Football, Soccer, Baseball, Volleyball, Basketball and Lacrosse! 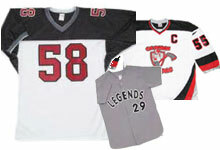 To find a solution for your team jersey needs, please Click here. �Need samples or individual gifts?